Funeral and cremation costs can be very confusing. Often times other funeral and cremation providers will quote what seems like a low price, but actually they do not give you the complete costs and there will be hidden add-on charges after you have chosen to utilize their services. 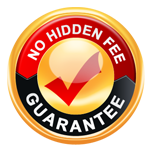 We have made it easier to understand by creating our “No Hidden Fee Guarantee” package plans.